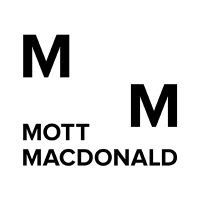 Mott MacDonald is committed to improving people’s lives through creating and delivering tailored development solutions. We work in developing countries to alleviate poverty, establish good governance, and increase access, capacity and resilience in healthcare, education, water, sanitation, transportation, infrastructure and renewable energy – while safeguarding the environment and promoting human rights and gender equity. What makes us different is that we approach problems from a fresh perspective. As an employee-owned company, we have the freedom and independence of mind to find new ways to enhance human well-being and foster social and economic development through connected thinking. Provide support to the procurement activities. Monitor and keep accurate records of the Project Asset & Inventory Registers. Establish a good working relationship with suppliers, including the establishment of maintenance agreements for items such as generators, ICT equipment etc. Manage and maintain the Approved Supplier list. Supporting the Technical Team in the organisation of workshops, meetings and other events. Be proactive and responsive to performing any other duties and responsibilities as assigned by the Operations Manager or Senior Management Team. Excellent written and spoken communication skills in English and Nepalese; ability to liaise with UK-based staff by email and telephone. Ability to draft letters in English and Nepalese;Ability to draft processes and procedures in Nepalese and English.